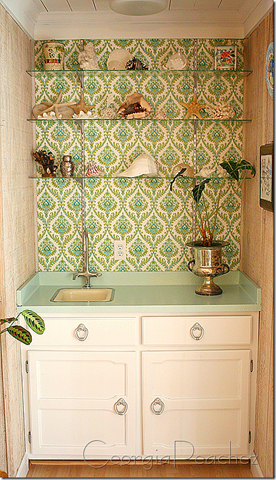 Remember when I updated my outdated wet bar with a little paint and wallpaper? I really love this vintage wallpaper and I finally got around to adding it to the built in bookcases at the other end of the room. 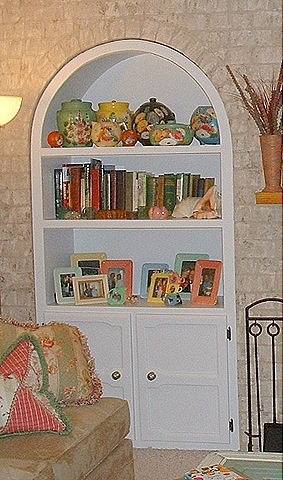 The bookcases flank the fireplace and here is just one side, a before picture from a couple of years ago. It is lovely, Suzy! Awesome job. WOW! 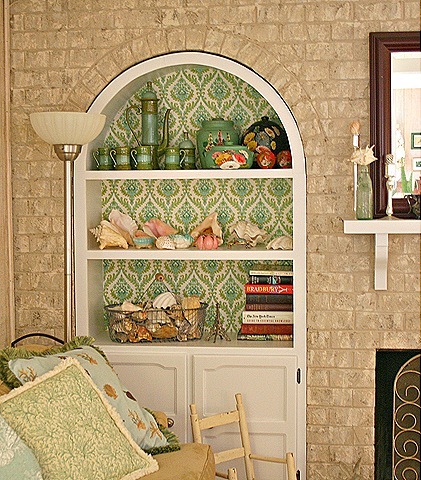 I wish I had as many little nooks and cranies in my home as you have in yours! So mnay great areas to decorate!! Beautiful makeover!! I love that shade of green.